We're Five Years Old Today! We’re celebrating our 5th birthday today, so I just want to say thank you to all our hard-working ambulance professionals and loyal clients for making this journey happen. 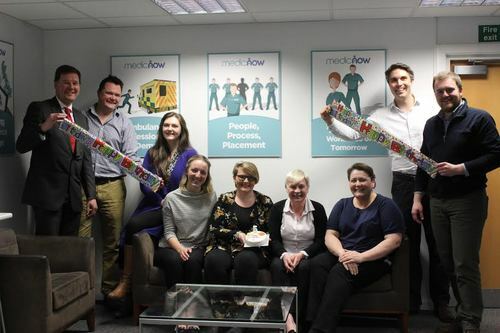 On 12th March 2012, I took a leap of faith and started MedicNow because I believed ambulance trusts and patients could be better served by offering ambulance professionals choice and flexibility. Happily, this idea caught the imagination of others and sparked a movement that has seen over 4000 professionals register with us and more than 200 clients benefit from our professionals. Since our inauguration, we have delivered over 600,000 hours of frontline support to ambulance and acute hospital trusts: that's nearly 70 years! Ideas are easy. Implementation is hard, so I want to thank all those who’ve helped me along the way. They’re too many to mention by name – but you know who you are – and I can’t thank you enough for taking the time to listen and point me in the right direction. I’ve been blessed with finding a wonderful group of people who buy into the vision and truly care about our contractors and clients. As with every start-up story, there are the inevitable bumps along the way, and 2016 brought more than its fair share with the introduction of agency caps, and more recently IR35. I could write an essay on how unfair and unwarranted I feel these measures are, but I don’t want to dampen my congratulatory message. The reality is that we move on and we try harder because I remain convinced that the need for a well-functioning contingent workforce will only grow. My conviction is based on the improved lives and careers our contractors enjoy with us. As someone once said, ‘change is inevitable, change is constant’ so we continue to always look ahead to innovate and improve. And I ask that you continue to support us because we value all of you more than you would think. Without you we would not exist, so here is to another successful five years!